Honolulu, Hawaii — The Hawaii Health Systems Corporation Oahu Region CEO Vincent H.S. Lee has been appointed to serve as board chair of the Asian Health Care Leaders Association. Lee will serve a one-year term of office, presiding along with 19 fellow directors, over the leadership organization established in 2008. AHCLA is devoted to increasing the representation and professional development of Asian-Americans in health care executive management, policy, and administration. Its programs in mentoring, networking, lifelong learning and career development are designed to serve individuals and organizations at all levels and across all disciplines of the health care field. 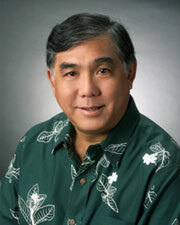 Mr. Lee serves as Chief Executive Officer for the HHSC Oahu Region (Leahi Hospital, Maluhia, and Kahuku Medical Center). Prior to joining HHSC in 2001, Mr. Lee was Systems Vice President at St. Francis Healthcare System of Hawaii, and has over 25 years experience in senior health care administration. Established in 1996, HHSC is a public benefit corporation of the State of Hawaii. As the state’s safety-net healthcare system, HHSC continues to fulfill the state’s promise to provide quality, hometown healthcare.